Vincent DeGeorge is a professional director and choreographer. On faculty as the Joseph Weinberger Chair of Acting for the Lyric Stage in Musical Theater and Opera since 2013, Vincent teaches and directs in both Departments. Vincent earned his MFA in Directing and Public Dialogue from Virginia Tech and his BFA from CCM in Musical Theater Performance. Vincent has spent the last fifteen years developing, through experiential research, The Theatrical Awareness Practice, which has become the cornerstone of his teaching and directing. It is a somatic and experiential theater technique that trains the actor to live fully in their experiential mind/body. This practice consists of grant supported research adapted into highly structured improvisational explorations that are designed to reacquaint the artist with the infinite intelligence and creative capacity of their own human body experience. 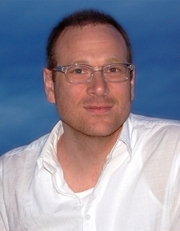 As part of his research into the body, Vincent studied anatomy at the Swedish Institute of New York (graduating as a Licensed Massage Therapist), the Topf Technique, and Experiential Anatomy. Vincent has been engaged to conduct his Master Class series: THE MINDFUL ACTOR, for colleges, workshops and theatrical companies. After graduation from the MT program at CCM, Vincent performed across the country and was also company member of the NYC based contemporary dance company dre.dance under Artistic Directors & Choreographers Taye Diggs & Andrew Palermo. In addition to numerous other works, in New York Vincent directed New York City's first fully staged production of The Exonerated (2011) to critical acclaim, and co-wrote and directed the award winning musical revue Nashville (2009 Nightlife, Bistro and MAC Awards). As a part of the Blacksburg Virginia Summer Arts Festival 2014, Vincent was commissioned to design and build Life In The Trees - an art installation, purposed as both a gallery exhibition and the theatrical setting for two performance pieces, which Vincent adapted and directed. In addition to directing and developing new works during his graduate studies, Vincent was a company member of Building Home, which uses theater-making to facilitate and stimulate public conversation and community engagement as a civic practice. Since 2013, while at CCM, Vincent has directed and/or choreographed 24 productions - “his work on the stages of UC-CCM has been extraordinary.” -Kirk Sheppard/TSC. Most recently, Seussical: “The unique production at CCM demonstrates that the tale can be presented in a fresh way, with ingenious direction and design…Vincent DeGeorge brings a wholly fresh perspective to the piece, delicately employing simple storytelling while also infusing bits of innovation throughout…” -Scott Cain/Talkin’ Broadway. Vincent recently directed the regional premiere of First Date with the Ensemble Theatre of Cincinnati “DeGeorge’s blocking, pacing and tone are just right for the piece, with moments of genius apparent“ -Scott Cain/Talkin’ Broadway. His most recent film, 18 Mornings, with cinematographer David Mallin to be released this summer. Vincent spent two summers on faculty with the CCM Summer Opera Studio. Summer 2017, Vincent taught at the Beijing Dance Academy. Vincent is proud to be on faculty, teaching and directing (Godspell, 2017; Evita, 2018; TBD, 2019) at Music Academy International’s Musical Theatre Performance Studio in Mezzano, Italy. Vincent is an associate member of Stage Directors and Choreographers Society, and a member of the American Massage Therapy Association and a proud member of Actors Equity Association. BFA, CCM, Cincinnati, OH (Musical Theatre Performance). MFA, Virginia Tech, Blacksburg, VA (Directing and Public Dialogue).